The experience, expertise, and commitment your pet deserves. 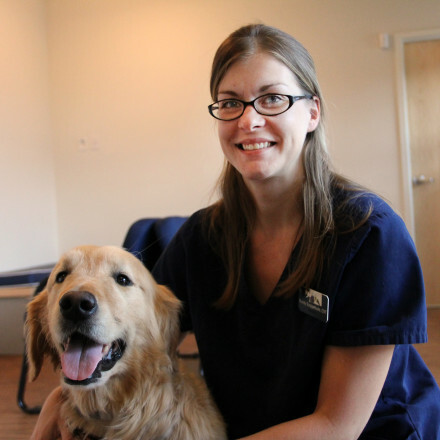 Dr. Johnson is the founder and owner of South Hingham Veterinary Services. 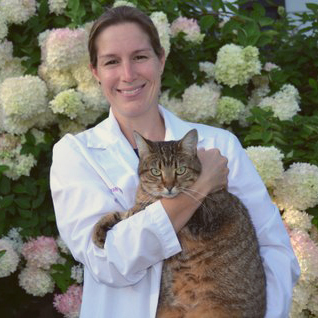 Dr. Johnson completed her undergraduate work at the University of Massachusetts, Amherst and received her veterinary degree from Tufts University School of Veterinary Medicine in 1997. After graduation she completed a one-year internship in small animal medicine and surgery at Angell Memorial Animal Hospital in Boston. After her internship, Dr. Johnson completed a residency in small animal internal medicine at Angell Memorial. Dr. Johnson has been practicing on the South Shore of Massachusetts since 1999. 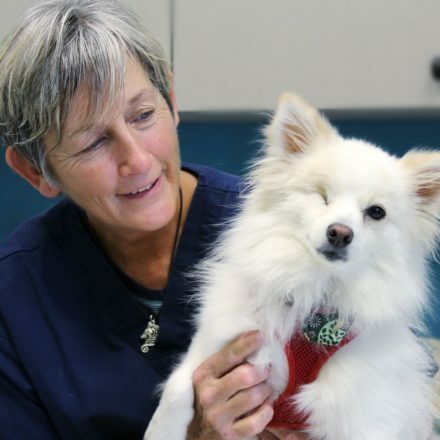 She has worked at both Roberts Animal Hospital in Hanover and Marshfield Animal Hospital in Marshfield. She looks forward to seeing some of her old patients as well as many new ones. In her spare time Dr. Jenn Johnson enjoys running and yoga. She has two great kids and a very supportive husband. She resides in Milton. The family spends a lot of time at the hockey rink year-round and enjoys getting to know all of the fellow hockey enthusiasts! The family has a beautiful Persian cat named Harvest Moon and of course Walker!. Dr. McCarron received her B.S. in Biology with honors from St. Lawrence University in 2000 and graduated from Tufts University School of Veterinary Medicine in 2004. Following graduation, Dr. McCarron moved to Colorado and completed a 1 year rotating internship in emergency medicine, internal medicine, and surgery at VCA Alameda East Veterinary Hospital. Dr. McCarron completed a second internship focused exclusively on surgery in 2006 at the VCA Veterinary Referral and Emergency Center in Norwalk, CT.
During her internships, she completed a retrospective study entitled Tibial Tuberosity Advancement (TTA) for stabilization of canine cranial cruciate ligament deficient stifles: Surgical technique, early results and complications in 101 dogs, which was published in the journal Veterinary Surgery in 2007. After completing her internships, Dr. McCarron decided to pursue a career in general medicine and surgery. She spent another year working in Connecticut before returning to her roots in Plymouth, MA. 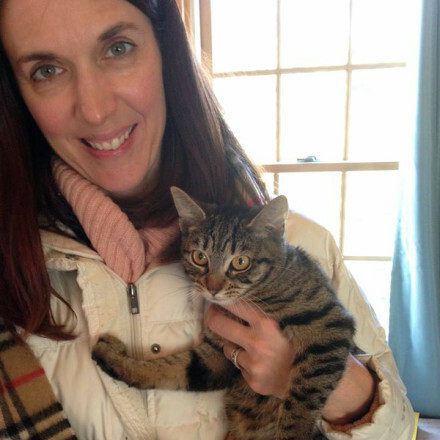 Prior to joining South Hingham Veterinary Services, she spent 5 years working as an associate veterinarian at Marshfield Animal Hospital. Dr. McCarron has special interests in Surgery, Dentistry, and Wound Management.Outside of veterinary medicine, Dr. McCarron enjoys spending time with her family, hiking, sailing and gardening. She has two cats named Polly and Love Bug. Dr. Angell graduated from Saint Michaels College in 1999 with a B.S. in Biology and a B.A. in Art. She worked in the biotechnology industry for some time, then revisited her childhood dream and graduated from Tufts Veterinary School in 2005. 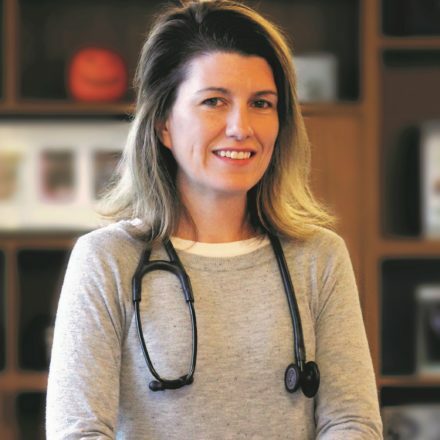 Her training continued with strong mentorship at New England Animal Medical Center in West Bridgewater, MA, where she honed her internal medicine skills, and fine-tuned her area of special interest: dermatology. Dr. Angell also practiced at Bridgewater Veterinary Clinic and most recently at Marshfield Animal Hospital before joining our team here in the summer of 2018. Over her years of practice Dr Angell has found true joy in developing life-long relationships with pets and clients, especially counseling families through treatment of challenging dermatology and behavior cases. Outside of work Dr Angell enjoys chasing around her two young boys, joining her husband’s band as a guest performer, and taking on a seemingly endless list of home improvement projects at her antique home in Pembroke. She has a kitty named Marnie. 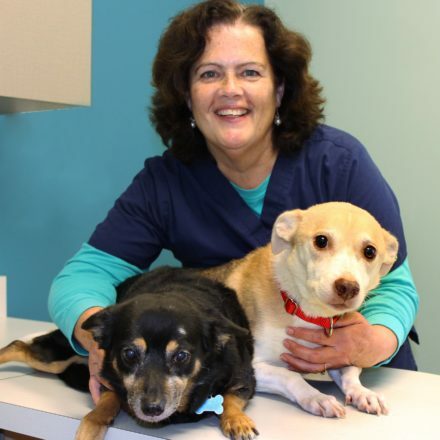 Mandy has been in the veterinary field since 1997 and graduated from University of Massachusetts, Amherst with a degree in Animal Science 2002. In 2006 she became a certified veterinary technician and a certified phlebotomist in 2009. From 2001-2012, she worked at a large emergency referral/general practice on the South Shore, then at Angell Memorial in Boston as an anesthesia and surgery technician before joining the SHVS team. She loves all animals, but has a special place in her heart for cats. She currently has two feline children who act like they’re dogs.